Police say the 19-year-old driver who struck eight high school students in Maryland Thursday only had a learner's permit and is facing several charges. Crews were dispatched to Northwestern High School at 7000 Adelphi Road around 6 p.m. According to Mark Brady with the Prince George's County Fire Department, the 19-year-old driver was trying to get to the back of the school and did not yield to a group of junior ROTC students standing in formation in the parking lot. Brady said eight students were transported with non-life threatening injuries, including bumps, bruises and possible broken bones. "We're taking every precaution possible transporting them to local hospitals," Brady told News4. Hyattsville Police say the driver was distracted by the sun's glare during the accident. He has been charged with multiple counts of negligent driving and failure to control his vehicle. Because he only had a learner's permit, he is also facing another charge of driving without supervision. 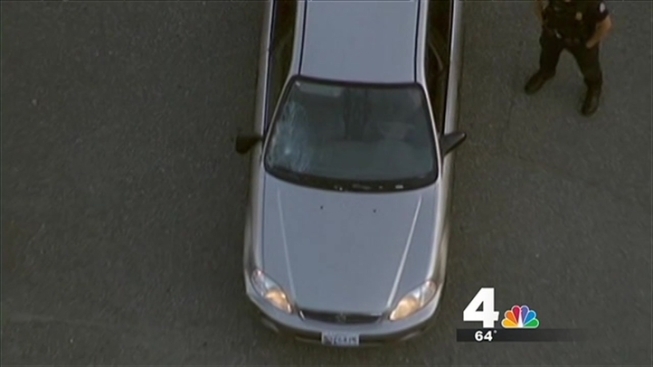 Stay with NBCWashington.com and News4 for the latest on this developing story.